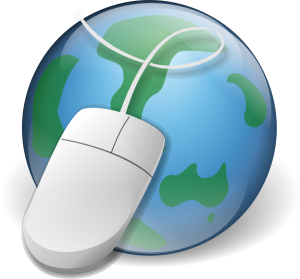 There’s a lot of information out there about how to earn money at home online. Most of the suggestions are very practical and can provide you with some cash one time or a little bit here and there. But when I wanted to stay home and make money, I didn’t want to search for a bunch of little things to bring in a few extra dollars per month. I wanted to earn a steadily growing monthly income that could actually replace my salary someday. 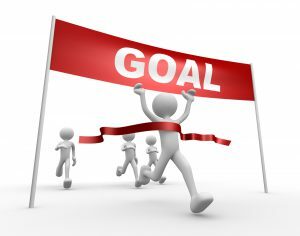 Is that your goal, too? If so, then keep reading! Earning a consistent, growing income each month is not going to be achieved by someone who is expecting to jump online, enter a few things into the computer, and then start seeing cash roll in. But there are definitely plenty of sites promising you exactly that! You don’t want to fall victim to scam sites and get-rich-quick schemes that will take your money and provide very little value. No one is going to be successful at running an online business if they aren’t willing to put in the time and hard work to make it happen. No matter what you’re told, that’s what it takes! We all have busy lives and the lure of “easy money” can be intoxicating. How many people are desperate to spend more time with their families and to have more money to pay bills and live a better life? I know from experience how easy it was to be convinced that a program could change your life. But after you subscribe, you need to get this other program to make it work better, and then this other one will really get you the results you want……and on and on. Unfortunately, I didn’t make thousands, I lost thousands! 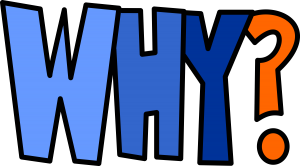 Why do I want to earn money online?–The “why” is your motivation, and will be what keeps you going when you get tired or frustrated. Do you want to spend more time with your kids by replacing your job? Pay off debt? Save for a new house or replace an old car? Add a second income that you can take into retirement? No matter what your “why” is, use it to motivate you to work harder. Don’t let it convince you to jump into “easy money”! How much time and commitment are you willing to invest?–When you’re excited to start something new, it’s easy to set aside the time and put the effort into working on it. But life will always happen, and it’s easy to be disillusioned when results don’t happen as fast as you want or you can’t spend as much time on it as you thought you could. Being realistic about how much time you can devote to your new business is essential. If you only have a few hours a week, it doesn’t mean you won’t be successful, it just means that it will take longer to get results. 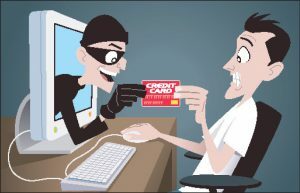 If you have the right expectations going into it, you won’t be lured by scammers trying to make it “easier” for you! OK, you have the motivation, and you’ve set realistic goals for the time and effort you will have to start your business! There are two online business models that can provide you the opportunity to develop a consistent, growing income. These two ways give you the best chance of success in your own online business–Affiliate Marketing and Online Selling. Both of these require creating a website, but don’t let that intimidate you! Long gone are the days when you had to create code and write computer programming or pay someone else hundreds of dollars to do it. The most powerful platform to build your website on just happens to be the best and easiest in my opinion–WordPress. I literally created my own free personal website in 3 steps! For a site that you can monetize for your business, you’d want to upgrade to the premium plan, which is $8 a month. For a plan that provides everything they offer to optimize your site for search engines, secure it, and have your own brand, it’s just $25 a month. 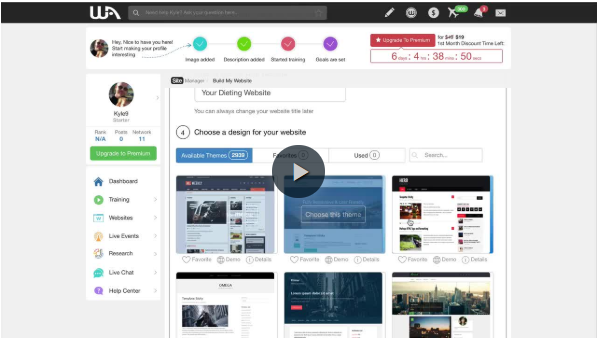 You can check out WordPress with your own free site here! Affiliate Marketing is creating a niche blog online where you promote products through links on your site. When somebody clicks on one of these links and then buys something on that company’s website, you get a commission! Without a doubt, affiliate marketing is my favorite way to earn money online. One reason is that there are so many companies out there with affiliate programs that I can choose any niche that I’m interested in or passionate about and make money with it. Another reason is that any beginner can be successful with affiliate marketing. If you can talk about your interests and use a computer, you can do this. Content is king! Your goal will be to create articles that discuss all aspects of your niche and publish them on your site. These articles will be written from keywords you will generate from your research, and you’ll promote products within your content! The best reason I love affiliate marketing is because of the training and support I got by building my site through a platform called Wealthy Affiliate. I wanted to spend my time learning from successful marketers instead of spending a good deal of my time trying to figure it all out for myself from questionable sources online. Wealthy Affiliate has a free membership where you can build 2 free websites and experience everything they offer. If you already have a WordPress site, you can stay with Wealthy Affiliate’s free membership indefinitely. If not, their premium membership is just $49 a month, and they utilize the WordPress platform. Add in a .com domain name for a yearly fee of $13.99, and you can start your online business with very little money and get quality training! Selling products is the second business model where you can earn an income online. The biggest challenges for most people is finding profitable products to sell, handling inventory, and shipping to customers. The best way to find profitable products is through wholesale suppliers. My best recommendation is SaleHoo, a top rated wholesale supplier directory. There are too many scam suppliers out there to be confident of who to trust, so having access to a platform like SaleHoo is invaluable for your pocketbook. No company gets listed in their directory without adhering to very strict standards. With over 8,000 trusted suppliers, you will be able to find suppliers for any product you want to sell! 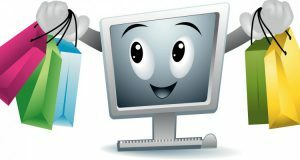 You can build your online store on your WordPress website, or you can build a storefront with SaleHoo. They offer a 30-day free trial with SaleHoo stores to try out their platform, and have an extensive training and education program. Their basic plan starts at $27 a month and has what any beginner needs to start their online business. Another platform where you can build your online store is Shopify. It’s one of the newest platforms and getting very popular. They’ve also partnered with Amazon to enable merchants to sell products from their store on Amazon. Shopify has a 14-day free trial period for you to set up your storefront and experience what they have to offer. Their basic plan starts at $29 a month with fees for accepting credit cards, so they are very reasonable as well. I recommend trying both Shopify and SaleHoo through their free trials to see which platform works best for you. You can utilize SaleHoo’s directory for a yearly fee of $67 and a 60-day money back guarantee. Unless you are already experienced with inventory control and shipping, I 100% recommend dropshipping. As a beginner, you are going to be busy with setting up your store, finding new products, and learning how to market your brand. With dropshipping, you won’t handle the products at all. After an order is placed on your website, you order it from your dropshipper, who then ships it directly to your customer. You don’t spend any money on the product until you have a sale, which is also a wonderful benefit for beginners! You can learn more about the advantages and disadvantages of dropshipping here. 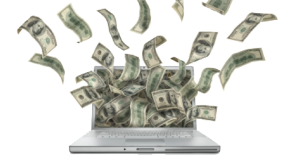 There are many ways to earn money from home online. But the majority of them are one time only or very limited in how much money you can make on a regular basis. If your goal is the same as mine and you want to earn a growing income that’s virtually unlimited, I recommend you look at affiliate marketing or selling products online. 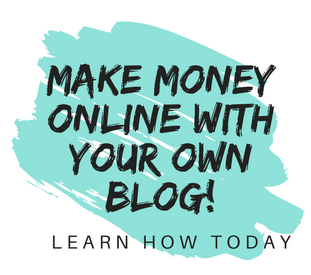 With minimal start up and monthly costs, you are only limited by the amount of time and hard work you’re able to put into your online business. Please share your experiences or thoughts in the comments below, we’d love to hear from you! Hey there! I’m a student and I have plenty of spare time to put into earning money online. I’ve been looking for a way to earn extra money online but I’m scared to do it because I know that there’s alot of scams. But I heard great things about affiliate marketing. I’m kinda skeptical with it. Up until I read your article about it, it got my interest and I’m willing to do it. I will surely try wealthy affiliate and hope that I could start earning money with it. After I went through my bad experience, I was very gun shy for quite awhile about any kind of internet business. So I definitely understand being scared of the scams. That’s why I got so excited when I tried Wealthy Affiliate and realized just what a great platform they had and what a wonderful community is there. Any hint of spam or a scam from someone and they take care of it. It’s truly a place where you can succeed! Making money online is the dream of many, so finding the right program that will not try to exploit you is not that easy. You have demonstrated what appears to be a sound company that teaches how to make money online, what sort of support could I expect and are there any hidden costs. The support that you receive at Wealthy Affiliate is really what sets it apart from other platforms out there. With over 1 million members, there is a huge amount of knowledge that you can tap into with your questions. The program is actually designed to encourage members to help each other and to provide training and guidance, and it’s the backbone of what makes it successful for so many people. As far as hidden costs, there are none. When I signed up, I tried their free membership and built a website. After seeing that this was a very legitimate platform with a lot of value, I went to their premium program, which is clearly spelled out at $49 a month. Buying a .com domain is just $13.99 a year, but you can also bring over any domain you already have into the program. There are no constant upsells for more and more money. The only other program that I have signed up with is their Jaaxy keyword tool, which was free to try. I went premium on that program as well because I was using the features to save a lot of time. But that isn’t necessary if you don’t want to, and they don’t push. I like that very much! Thanks so much for the questions! Hey Janelle, my favourite online business is affiliate marketing too whereby you create a business out of your passion, promote products through a website, attract visitors and accomplish conversions to earn revenue. I used to run a local high street shop and when I compare the prices of starting up a business, hosting a website far outweighs renting premises. My yearly hosting charges come way under a months worth of the rent I used to pay, never mind the ongoing utility bills, insurances, staff wages, etc, etc meanwhile once a web post is published it can make money 24/7 around the world, you’re not confined to a local area. Another huge benefit regards not having to purchase any stock, have room to store, pack & post nor any returns to deal with either. To me it’s by far the most cost effective & user friendly way of running a business. I couldn’t agree more with everything you said! I’ve sold products online with dropshipping and have an affiliate marketing blog, and I couldn’t imagine trying to run a regular retail business with everything that it involves. Good luck with your online business! Good article. I tried Shopify and found the platform easy to use. I did however, decide to try something else because I was drop shipping from China and I didn’t like the shipping times and problems. I recently joined Wealthy Affiliate and I am really impressed so far. I have been able to get help whenever I need it and I find the lessons easy to follow and step by step – which is really important to me. I only wish that I had found WA 4 years ago!!! I wish I had found Wealthy Affiliate earlier as well! After getting burned by an overpriced scam program, I was too nervous to even look at anything else. But when I finally got up the nerve to try again, I was smarter and knew what to look for. I definitely found what I needed at Wealthy Affiliate, thanks for commenting! Very nice article. I really appreciate the advice on setting up a storefront and the suggestions you laid out with SALEHOO and DropShipping. I will be looking into these two for future use. Do you have a store front? I am currently in Wealthy Affiliate, but I am concentrating on affiliate marketing at the moment. Would love to here your experiences in store front. Several years ago I sold orthopedic dog beds online through a dropshipper on my own website. The idea came about from needing to buy one for my aging Labrador, and I was impressed with the quality of beds out there. I made money, but then my regular job became full time, so I discontinued it just due to time constraints with work and family. Now, I’m back to part time work to spend more time with my grandson, and I have 2 affiliate marketing websites. I thoroughly enjoy the research and posting articles, but may look into dropshipping again soon because of how much I enjoyed that as well. Thank you for taking the time to comment! Hey Janelle, that’s given me a lot of motivation to start earning from home. It’s true there’s so much opportunity out there, but we aren’t looking for them. There really is so much opportunity out there, and it’s growing every year! Thanks, Habib! Great post Janelle full of useful information , I might give Spotify a look myself. Great! I wish you good luck! I have had so many bad experiences with marketing schemes that promise the world, but your article is kind of enlightening will come back to it next time I have more time. Come back any time, and if you need any help or have questions, just let me know! Best article I’ve read for a while, fascinating read and a sure fire way to try and make money. There are so many websites out there that seem to be fake but your recommendations seem that they are worth a try. 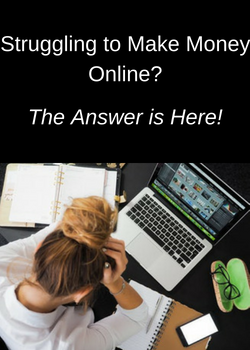 I totally agree with the two questions you recommend one ask themselves before starting an online home business. but I think it is equally as important for beginners to know that yes we all want to make money. However, once you realize that they are first and foremost in it to help others once you can achieve that money which is a secondary issue but automatically come into play. That is very true, and it will reflect in your website if you are trying to educate and inform your readers or if you just want to sell them something. Thanks for commenting! I’m so glad that you found the same positive experience at Wealthy Affiliate that I did! Thank you for sharing and good luck with your online business! Great tips teaching people how they can make money from home. I think mindset is definitely one of the main keys to becoming successful — as I think most people don’t realize just how hard building a business online is. After you have a good mindset though, just follow a provem method and work hard until you succeed. You are so right when it comes to mindset! There are too many scam type programs out there trying to tell everyone that they can make money overnight and only work an hour a day if they buy their “magic” system. I think that has led to the idea that making money online is easy and doesn’t require time and commitment. For those who are willing to put in that effort, there is definitely money to be made! This is an outstanding article. I’ve been on the fence about getting in to drop shipping since joining WA. I knew about Shopify but was unaware about SaleHoo. Now it’s time for me to read up on SaleHoo on your other review. I may be contacting you with questions if it’s ok.
I’d be more than happy to help you find the answers to any questions you have and good luck! Is CuraDebt One Of The Best Debt Consolidation Programs? Let’s See! 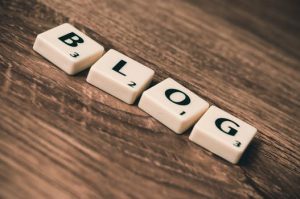 How To Make Money Blogging About………Anything!